Life insurance can give you the peace of mind that your spouse or children will be taken care of in the event of your death. Unfortunately, there are fraudsters out there who know how to prey on your fear for your dependents and scam you out of thousands of dollars. When you’re shopping for a life insurance policy, it’s important to recognize scams and life insurance sales pitches that benefit only the agent, not the policyholder. Look out for tie-ins. Be wary of this scam when you are shopping for auto or home insurance. Many automobile insurance carriers offer multi-line discounts for policyholders who have more than two lines of insurance with them. To increase production numbers, some insurance agents will give you two quotes: one for the policy you requested, another for the policy you requested tied together with a life insurance plan you didn’t request. The second quote is usually cheaper. Make sure that the agent is only quoting you what you request. When an agent generates a life insurance quote, a disclaimer pops up telling him or her that you must be notified that the quote will gather personal information about you. If you consented to your personal information being accessed only for an auto insurance quote, not a life insurance quote, contact your state insurance department and file a complaint. Don’t make payments directly to the agent. Never sign a check or send money directly to your agent. If your insurance agent asks you to start paying your life insurance premiums directly, he or she is likely to pocket the money and leave you without insurance coverage. Seek coverage elsewhere. Understand churning. Churning occurs when an insurance agent promises you a policy that is supposedly better but costs more and doesn’t actually offer any added benefits. The result of this life insurance scam is simple: You end up paying more for the same type for coverage, and the insurance agent collects a higher commission. If your agent calls you to upgrade your insurance policy, make sure that you are getting a complete proposal before signing any forms. Investigate the agent. Always do your research about life insurance companies. 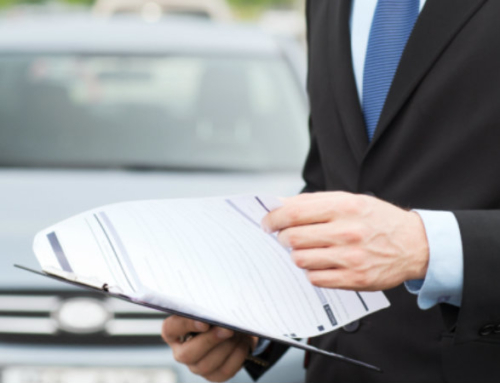 Verify licensing through the state insurance department and read reviews online. In addition, use caution if you find that other insurance institutions have terminated an agent. Review all documents. Never sign blank documents or documents filled out by the agent. Ask to see copies of everything you are asked to sign and the premiums and benefits you are to expect with your policy. Many insurance companies are utilizing electronic applications, requiring applicants to sign their name on a pen pad while the agent scrolls through the app on the computer. Make sure the agent is showing you every screen and not just paraphrasing, expecting you to sign blindly. Walk away. If you are being pressured in the office or over the phone, just tell the agent no and walk away. If you don’t want your existing agent to contact you about up-sales, ask him or her to add your number to the “do not solicit” list and add that you don’t want unsolicited e-mails, phone calls, or letters.